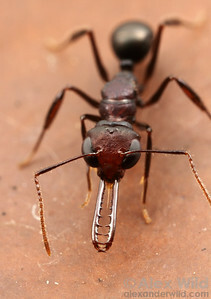 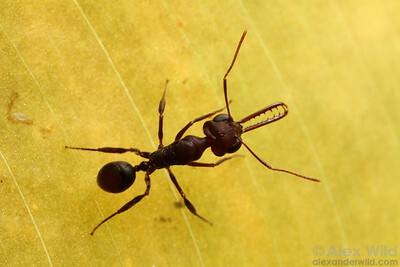 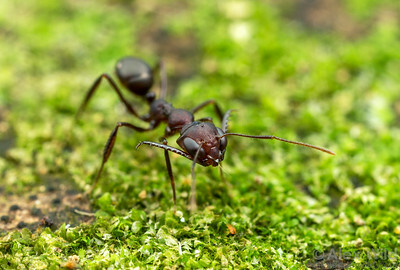 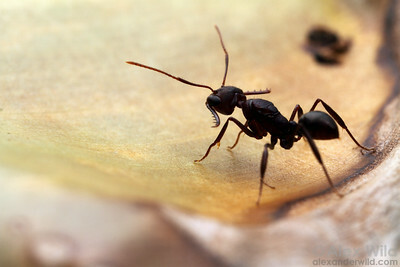 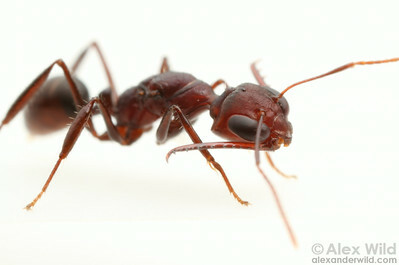 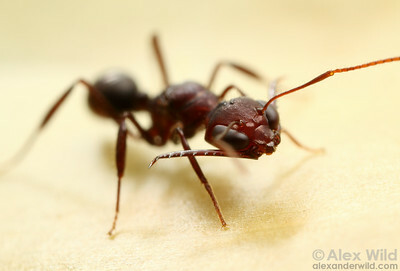 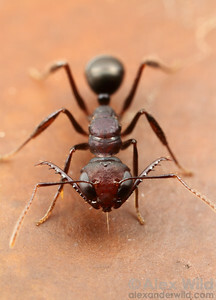 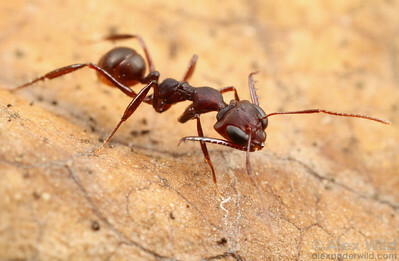 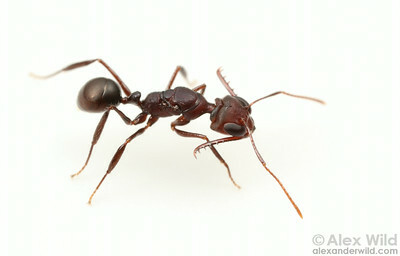 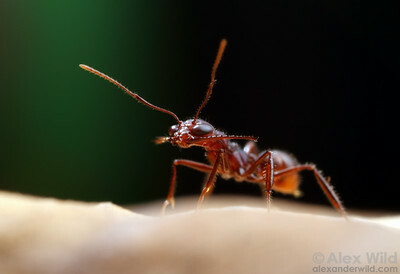 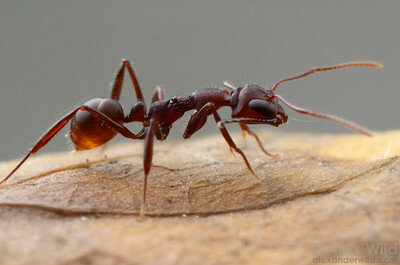 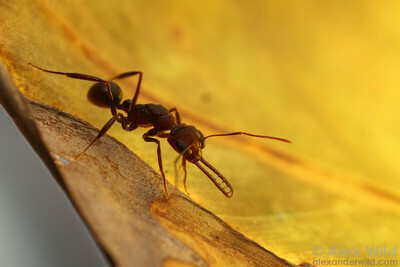 is a tropical Asian genus and the only ant in the subfamily Formicinae to have evolved a specialized trap-jaw for capturing prey. 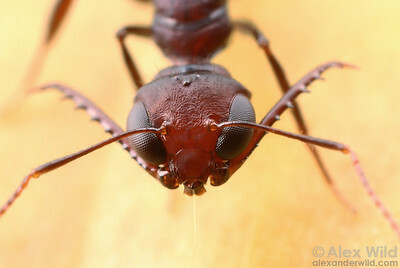 The sharp-toothed mandibles are held open at 270º and snap shut on a hair trigger. 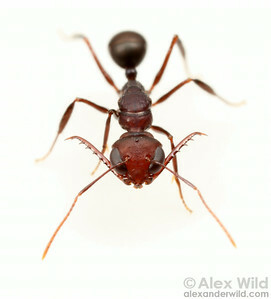 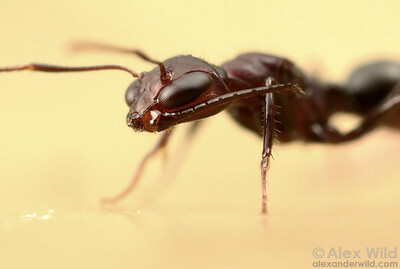 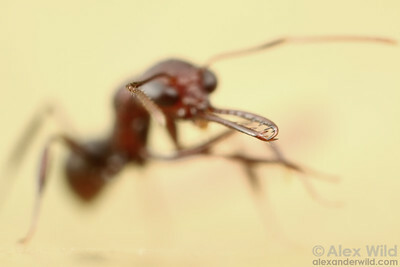 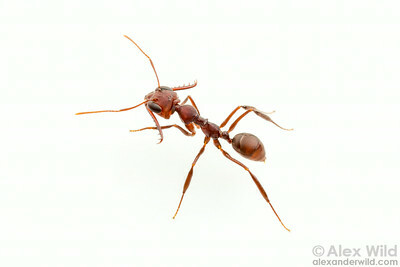 Portrait of a formicine trap-jaw ant with her mandibles fully open. 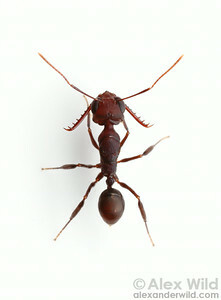 Laboratory colony at the University of Illinois, collected originally from Maliau Basin, Borneo.